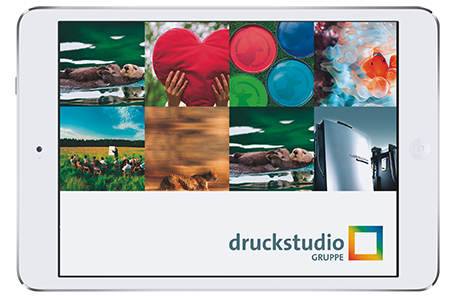 These days, the Druckstudio Group is known not just for its exceptional expertise as a top-quality print shop, but also for its many digital media services. This area of activity is covered by Druckstudio Interactive. Our market-leading, future-focused systems and highly qualified experts can help you address the ever-increasing challenges associated with effective cross-media brand communication. We can support you with workflow optimisations, process automation, asset management and multi-channel publishing. Our experienced and highly skilled team is always happy to provide in-depth, individual advice on planning and pursuing your media and communication strategies.